Am I the only one that likes to challenge themselves when getting dressed? Ah yeah. Don’t answer that. I already know I’m weird. Just for the thrill of it (I know my definition of “thrill” may need to be reevaluated) I decided to combine bold florals, plaid and paisley prints together. I didn’t do the easy peezy “cheater’s method” of combing three different prints by choosing small accessories or shoes for the prints…these are all large pieces. Ensure one colour from each print matches one of the other pieces. I matched the blue rose from the jacket with the plaid shirt and then some of the burgundy roses from the blazer with burgundy in the skirt. Often people will tell you combine different sizes of prints, one large and the others small thereby creating one focal point. The eyes will automatically gravitate towards the larger print. 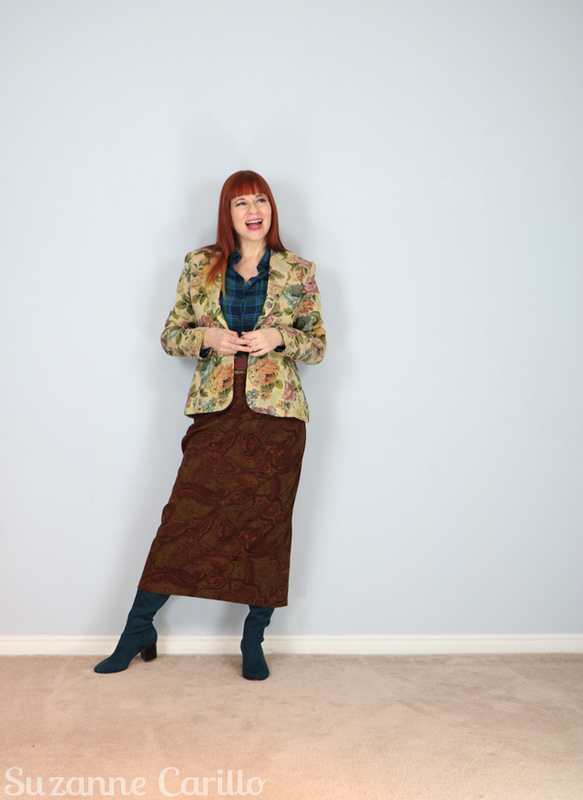 It is an easier method but one I didn’t use here as both the jacket and skirt have similar size prints. Another tip is to combine similar colour tones. Everything is a bit muted in my outfit. Using tone on tone prints aren’t as distracting to the eye. They read more like texture. The tone on tone paisley pattern on the maxi skirt looks like texture and makes it easier to combine with the other two prints. Personally I gave myself an A but I’ve been known to be a bit of a pushover when it comes to grading myself or my pug. Combing pieces that wouldn’t normally go together is a great way of extending your wardrobe. If you enjoy secondhand shopping like I do it is a perfect opportunity to hone your print matching skills without breaking the bank. You can see me combining the same maxi skirt with another print here. 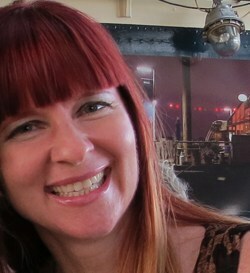 I’m wearing the blazer in another outfit here. Are you a fan of combining prints to create visual interest in an outfit? What was the highest number of prints you managed to combine in one outfit? I like to know what I’m up against. My competitive streak is fierce. It’s fun and often-rewarding to experiment. That said, this technique is for those in the advanced class. I’m still learning fashion basics! I LOVE finding ways to mix texture and print!! It feels like engineering a beautiful structure with dimensions that unexpectedly compliment each other. 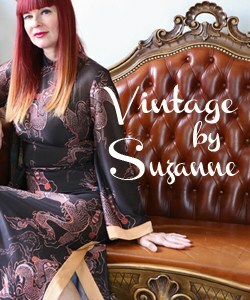 This look is wonderful Suzanne! Thanks Jude. I agree, it is a rewarding creative process. 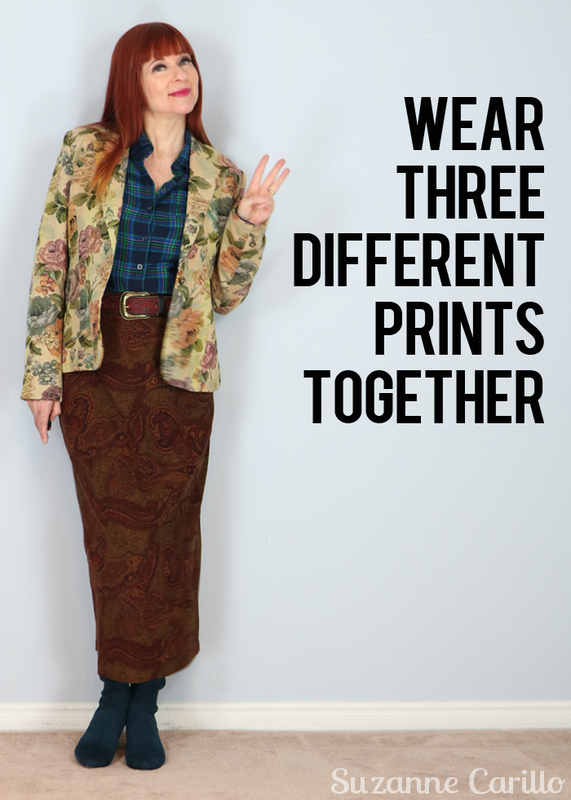 And there was me thinking I was all clever for wearing three prints together yesterday!! That’s a fab outfit, it looks neither too busy or distracting, just pleasing to the eye. 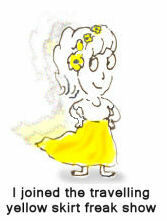 Well you are clever Vix! ; P BTW…I totally think your snakeskin boots count as a 4th print. I would never in 100 years have thought of those pieces together but you pull it off. I can’t even make out the pattern in the skirt–as you say it comes off as texture. Your Dad sounds like a fashionable dude. 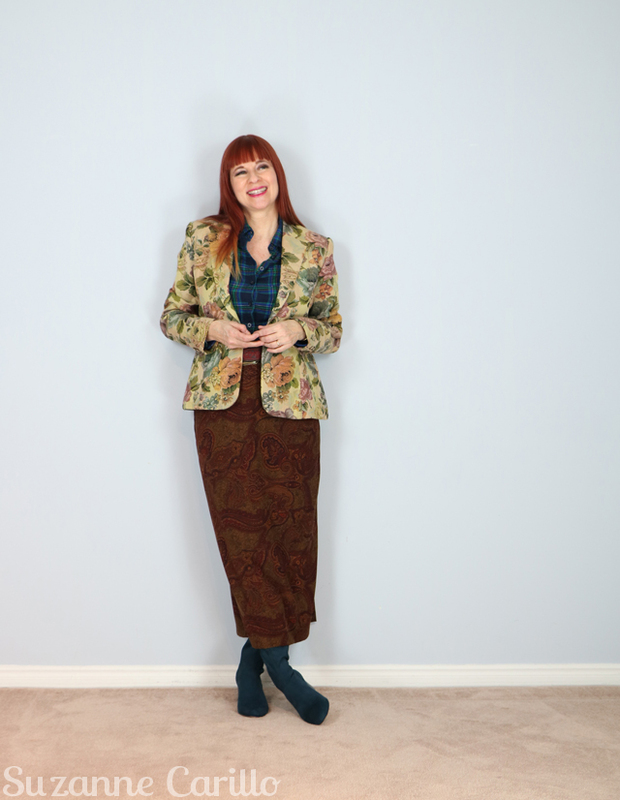 pattern/print mixing are my second name – and if i would´t do so i had no chances to wear most of my clothes – 3/4 are patterned in some way – i prefer a patterned fabric over an uni most of the time. 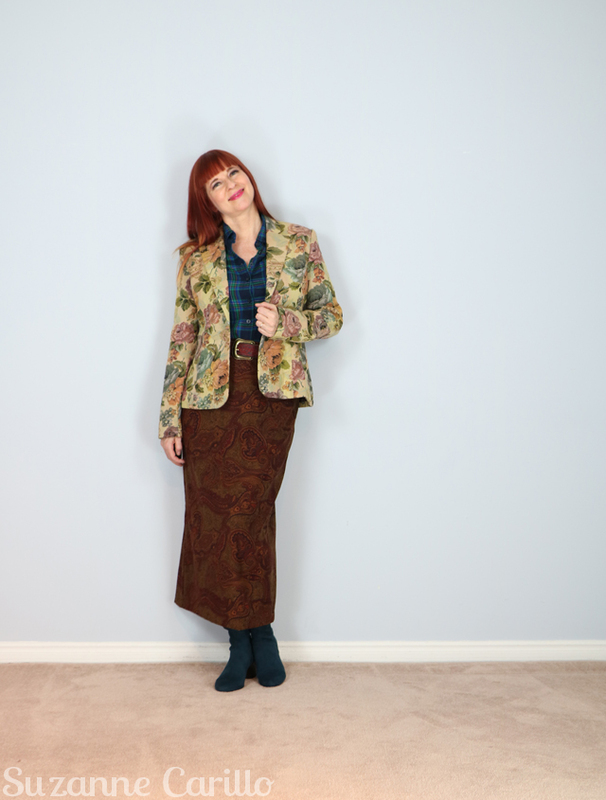 and mixing lots of patterns makes my vintage pieces less pathetic and my look more casual…..
I’ve still struggling with two prints. Somedays I pull it off, but other days, I regress and go back to a solid with a print. But girl…you rock!! I need to hang around you more for inspiration!! You always inspire me with your print and colour combos Ann. I’m delighted we can inspire each other. There are times I’ve had a print on every item in my outfit — I call it “Bird Boxing” my closet. Top, tunic, leggings, socks, shoes, scarf = SIX! OMG I bow down to your greatness Ms. Print Mixing Queen Anne. I should have known better than to throw down the gauntlet when there are print masters like you lurking about. You have mastered this print mixing thing and you look Fantastic. I still have not been able to do print mixing with any success, but I keep on trying. Mm, that’s an idea! And that coming from someone who didn’t wear prints at all. I think I will try this tomorrow, I like the idea a lot. Thanks for the inspiration! I love the texture and the unexpected mix. I think my maximum print mix was three, too! You are one of the most skilled print mixers I know! I wouldn’t think to put these three pieces together but they work very nicely. I’m afraid I don’t wear prints very often, and if I do, it tends to be stripes or polka dots (which I have mixed together in an outfit). Absolutely— yes this combination is stellar. It is not formulaic and because of that I really appreciate the surprise element. 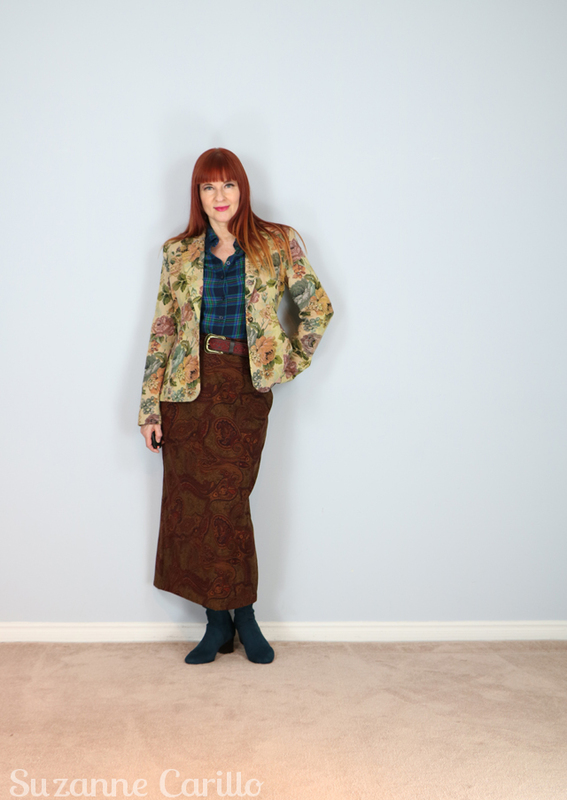 I think the somewhat tonal paisley skirt does help allow for the loudest plaid and patterns. I love this look. I recently did something somewhat similar on Instagram but have not put it on the blog yet – and I honestly like this outfit better. You know how conservative I am with combining prints. And how bad I am at creating outfits with more than one print. Two prints (a stripe and an anchor) is about the highest number of prints I have combined. And it wasn’t even me who came up with it, it was the shop assistent. One thing I have enjoyed about blogging is that is where I learned to pattern mix. I love seeing it, and I do it sometimes, but would like to try more. I love the 3 pattern mix, as the brown is subtle, but as you mentioned act as a texture and it is so interesting! Love the color palette on you!